The EVIS LUCERA ELITE Colonovideoscope CF-HQ290L revolutionises routine endoscopy by providing ground-breaking advanced diagnostic features in an easy-to-use routine endoscope. 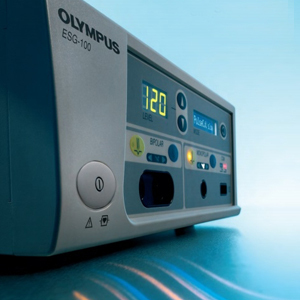 A host of additional features including Responsive Insertion Technology (RIT) ease scope handling assisting in insertion and potentially helping to reduce patient pain. 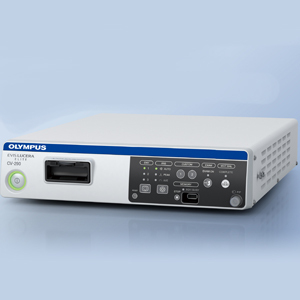 By uniting features such as Dual Focus and brighter, more powerful Narrow Band Imaging, the CF-HQ290L offers a truly advanced diagnostic tool packaged in a routine endoscope. 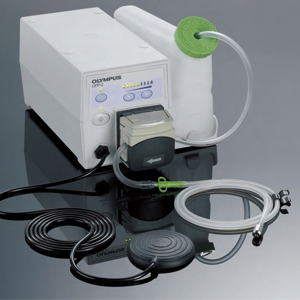 In addition to advanced diagnostic features, a range of ergonomic improvements make the endsocope easier to handle throughout the entire endoscope workflow. 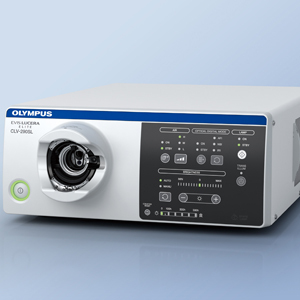 Dual focus, a unique OLYMPUS optical innovation allows the user to select from two focus settings. With the simple push of a scope button, the desired depth of field for observation can be optimized to either the near fi eld or normal fi eld and it delivers superior imaging at the same time. RIT combines three proprietary insertion tube technologies: HFT (High Force Transmission), PB (Passive Bending) and variable stiffness. 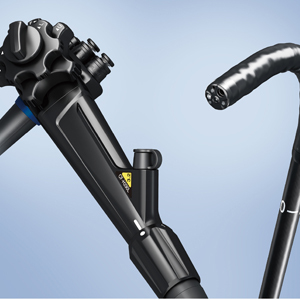 These technologies are designed to facilitate complete colonoscopies by improving scope handling, insertability and ergonomics. 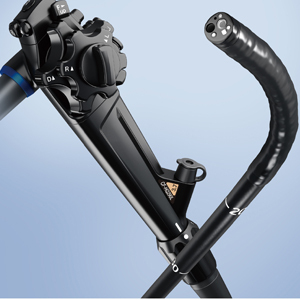 PB helps EVIS LUCERA ELITE 290 Series scopes move through acute bends in the colon. HFT provides improved operator control for pushing, pulling and twisting maneuvers. 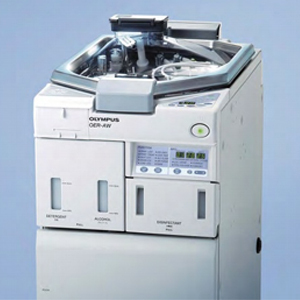 Variable stiffness allows the physician to adjust the rigidity of OLYMPUS scopes as needed, by simply turning an adjustment ring on the scope control section. NBI in EVIS LUCERA ELITE provides twice the viewable distance of EVIS LUCERA SPECTRUM. 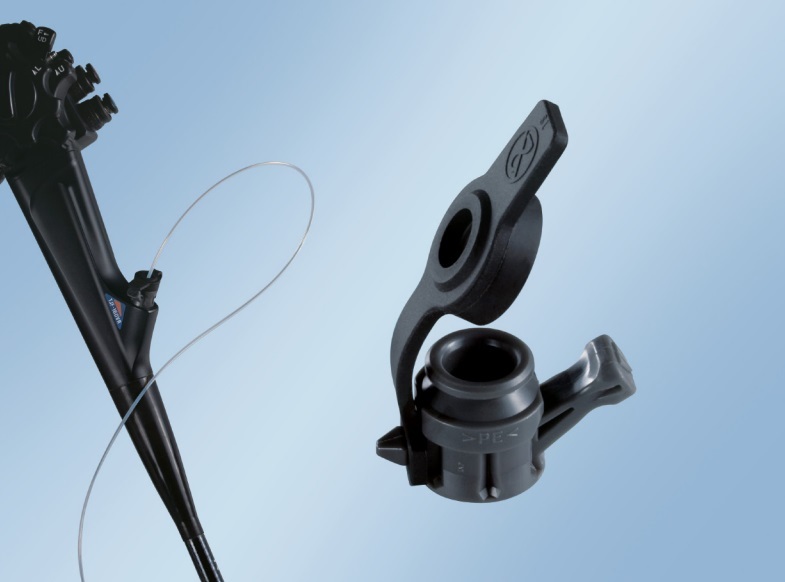 The greatly improved performance of NBI opens up exciting new clinical applications and reinforces NBI's position as the standard of care for GI endoscopy. 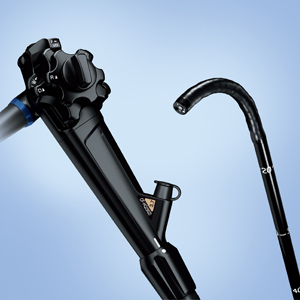 Water jet function is standard on EVIS LUCERA ELITE routine colonoscopes. 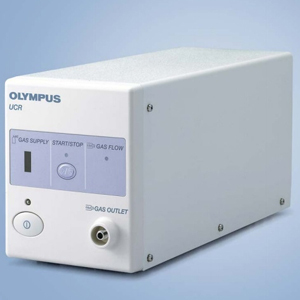 This technology helps to keep the mucosa clear during observation and treatment. 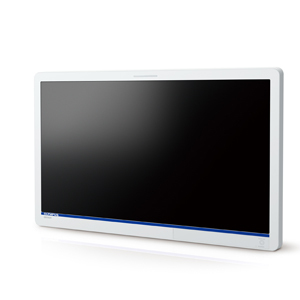 ScopeGuide is an integrated technology in EVIS LUCERA ELITE CF-HQ290L/I. ScopeGuide provides real-time 3D visualization of scope position and configuration. This new level of visualization provides physicians with the ability to recognize loops as they form, potentially leading to shorter insertion time and less patient discomfort. A new connector design minimizes the effort required for setup prior to and in between cases. In addition, it is fully submersible and eliminates the need for a water-resistant cap and the associated risk of an expensive repair due to accidental immersion.